Prishtina, March 24, 2019 – March 24, 2019 marks the 15th anniversary of the American Chamber of Commerce in Kosovo. In these fifteen years, AmCham has constantly grown to become one of the most powerful business associations in Kosovo serving American and other businesses. 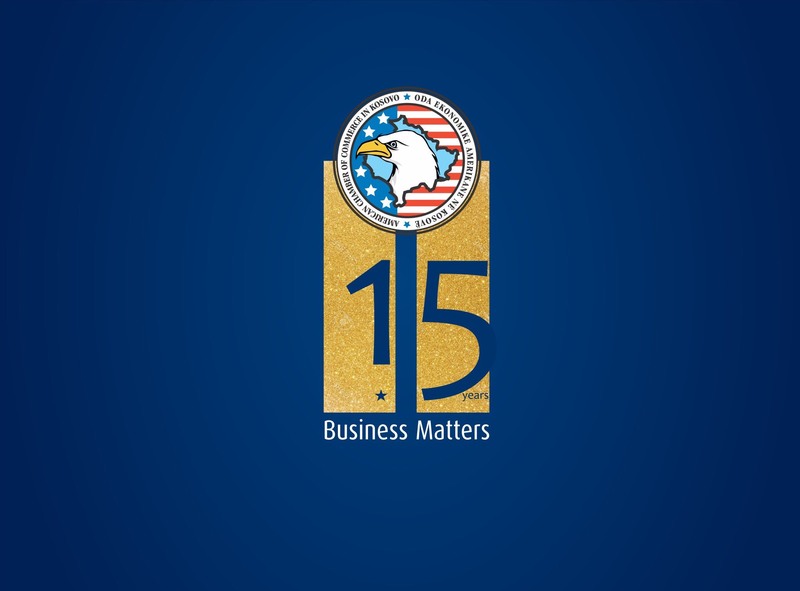 As it celebrates its fifteenth anniversary, AmCham remain committed to further advocate for the betterment of the doing business environment in Kosovo. It remains forever grateful to the founding members Ardian Jashari, Arianit Koci, Armend Malazogu, Armend Mustafa, Besarb Blakaj, Driton Dalipi, Fadil Rexha, Fisnik Ismaili, Ilaz Ramajli, Jerry Rexha, Laura Kryeziu, Lavon Bajrami, Luan Dalipi, Ramadan Berisha, Ramis Ahmetaj, Rob Gulick, Robert Curis, Salih Devolli, Skender Kutllovci, Valbona Rraci and Vjollca Krasniqi and Ambassadors Marcie Ries and Philip Goldberg, as well as the members who have remained loyal to AmCham since its establishment in 2004: RIT Kosovo, Asseco, Coca-Cola HBC Kosovo, Deloitte Albania and Kosova, Devolli, IPKO, Meridian Corporation/Meridian Express, Microsoft, NLB Banka, Pestova, Raiffeisen Bank Kosova, and Western Union.